This is the fourth installment of a semester-long series that documents my exploration of faith on the University of Rhode Island campus. The goal is to sit down with every religious community on campus and learn about their religion and community. Last week I had the opportunity to learn about the Catholic community on campus when I spoke with Father Joseph Upton, the chaplain/director of the University’s Catholic Center. Before I get into describing the community, though, let me recount some of the important points of Catholicism I learned when speaking with Upton. When I asked him why people are turned away from Catholicism, he said he thinks it’s due to a number of reasons. One of the main reasons being the fear of institutions people have today, more specifically, the institution of the Church. When politicians, priests and religious leaders betray their religion, it not only detracts people from the Church, but also the religion. He said the other big reason people are turned off by the religion is actually a misconception. He said the Church has no problem with scientific advancement. When I heard this, I was a little confused. My understanding, and a main reason why I don’t practice Catholicism, is because I thought there were distinct contradictions with science. However, Upton made some good points. Let me try to explain. The following is what I took away from our conversation, and wow, I hope I don’t screw this up. So in the Bible, there is definitely scripture that appears to contradict science. For example, the Book of Genesis is a popular discussion point. This is the first book of the Old Testament. It’s the one where God said ‘Let there be light’ and created the world. (Yea, I know, not a great summary.) Anyways, people look into this and find contradictions with natural law and evolution. There is definitely scripture that doesn’t appear to add up. Nobody is denying that. Well, maybe some people are, like the people who stand in front of the Union and yell at students walking by. Do they really think that’s the best way of getting their point across? Anyways, this isn’t about them. Now, back to my point. The problem comes from people’s understanding of the text. People read into this too literally when it should be looked at from a theological, metaphoric point of view. The point of religion is to respond to the human desire for what is beyond this world. It’s not to examine the natural versus supernatural. However, I don’t want to get too hung up on the battle of science versus Catholicism. It would take a lot more than the number of words I get to use, and this is argued so often. I don’t think I am going to be the one to solve the dilemma in a few hundred words. If you have questions about it, do some research. Talk to Father Joseph Upton or other religious leaders. I’m sure they would love to have that conversation. Through my discussions with religious leaders, I get the feeling they are scared of our future. Like Upton said, based on history, living in an irreligious age is a new phenomenon. The majority of humans in history have some sense there’s something beyond themselves. However, people, and myself included, are so turned off by the past corruption in religious institutions that when these thoughts of ‘what’s beyond this world?’ come to their head, they ignore it. Just push the thoughts away. It’s pointless, right? We’re not going to come up with an answer. And the time spent thinking about it could be used to learn something else. After all, there is an endless amount of information available for us at all times. That’s where I have always come from. Now I see the detrimental effects of this. Religion serves a lot of great purposes. One purpose is that it provides some kind of answer to these supernatural questions. These questions are healthy to think about too. But, the more important purpose, at least for me, is that religion gives people a higher standard of morality – something I think we are definitely missing in society. Whether it’s Islam, Christianity, Judaism, or another religion, it provides a guideline to how to treat other people and animals. Now let’s talk about the Catholic community on campus. 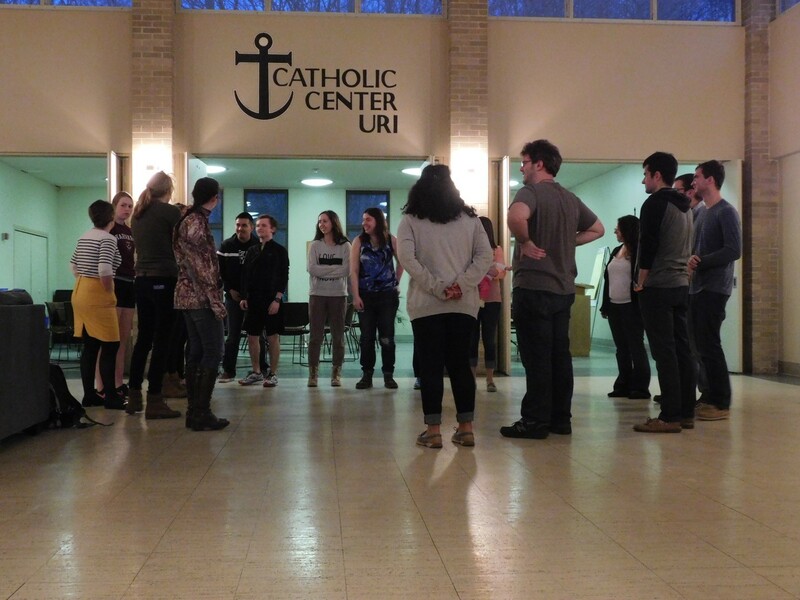 It is definitely one of the most active religious communities at URI. The center, which is located between the Fine Arts Center and the Emporium, is open daily from 7 a.m. to 10 p.m.
Upton said students use the center as a hang out spot, ask questions about faith and participate in events they hold. 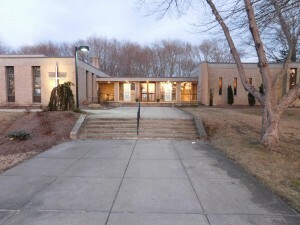 Sunday at 8 p.m. is the major college mass. They also hold a number of charity events, including blood drives, food drives, toy drives, writing letters to prisoners, visiting the elderly and many more. They also hold social events like paint nights, retreats and other activities. “We try to foster an environment where people feel comfortable, ask questions, socialize and practice religion,” Upton said. So if you’re interested, check it out. If you’re not, well, then don’t. Just keep doing what you’re doing. To be honest, I’m not going to convert to a religion within the near future. However, what I have learned from religion in the past few weeks has reshaped my outlook on life.